Explore life and learning at Evergreen through the experiences and adventures of a few of our current and recent students. I'm focusing on rural health-care, which I never thought I was going to be doing. I transferred here to do environmental science from a pre-nursing program. Then that led me to science education, which led me to health science education, which is how I found public health. Which is actually just environmental science, plus nursing, plus health education. So I could do it all as one thing. I'm doing undergraduate research with tardigradia. My speciality is dissecting their only bone and doing Scanning Electron Microscopy of it. On this one piece of lichen, I found 100 tardigrades. My goal is to identify as many as I can down to the species level. It's not easy. I'll probably get about 40, but the thing is that there is no definitive guide on tardigrades. It's one of those things... If you want to name an animal, go find a tardigrade. I’m interested in integrating social justice and climate justice into the work that General Practitioners do to support communities. A lot of doctors are pretty one-dimensional in their service work; and I don’t want to be like that. Ideally, I would like to be a doctor who is part of a health collective that integrates health work into community organizing and environmentalism. I really like the small class sizes and the communication one on one with the faculty. Evergreen allows me to learn in my learning style. I went on a tour with my high school and saw the campus and fell in love. I enjoy their way of teaching and the independence you're able to have. I just finished up being a Teacher’s Assistant in a class at Hood Canal school on the Skokomish reservation. I was mentoring and helping with literacy. What I learned was that children need to have a caring person in their life and that may not always be a parent or guardian. That role can be filled in the classroom, too. One of the most nerve-wracking parts about coming to Evergreen from out of state was that I did not know anybody that was coming to this school. But, within the first week I was here, the friend group I have now, we all found each other really quickly. I’ve found that at Evergreen, it’s definitely my kind of people and people that I get along with and love being around. I’m finding that I’m growing socially, as well as mentally, with my education. It’s a really healthy environment. I’m studying psychology, but this quarter I’m taking this multicultural program, which is an exchange program with Korean students. It’s called Bridging Cultures. I’m Korean—my ethnicity is Korean—but I moved to the United States when I was 13. Since then, I haven’t really been able to get in touch with my Korean side because I grew up in a pretty white town, white school. Nobody spoke Korean. For me, this is an opportunity to get in touch with my Korean side. And also to learn more about what I missed in the last 10 years because I haven't been back since I came here. I have had so many opportunities to do independent research projects. I love that all of the projects that I've gotten to do have built on each other. And that I’ve gotten the freedom to do that, while at the same time there was a lot of structure along the way to help me build the skills that I didn't have—or didn’t feel that I had. I’m doing an Independent Learning Contract (ILC) right now on small press publishing. So, I’m learning the editing and design software, like InDesign and Adobe Illustrator and WordPress. I’m looking for submissions of poetry and art in the greater Olympia area. At the end of my ILC, I’ll publish a magazine using the things that I've learned… just representing all the awesome artists and writers that I know in Olympia. I'm excited to potentially have that in a journal, you know. Currently, I’m in this program called As Real as Rain. It’s talking about blues, and African Americans and how we influenced the blues. We have to write this paper about something that interests us relating to music. So, I'm doing my 33 ⅓ approach on Erykah Badu’s album. When she sings, it's like poetry. It’s not just her singing. And since I'm a poet, that kind of drew me in. Add your name and address to receive our publications, timely reminders, and invitations to special events. Graduates of The Evergreen State College do well in graduate schools all over the country and in all sorts of careers. You can find our alumni everywhere! See what Greeners have accomplished after Evergreen. We take your education seriously. 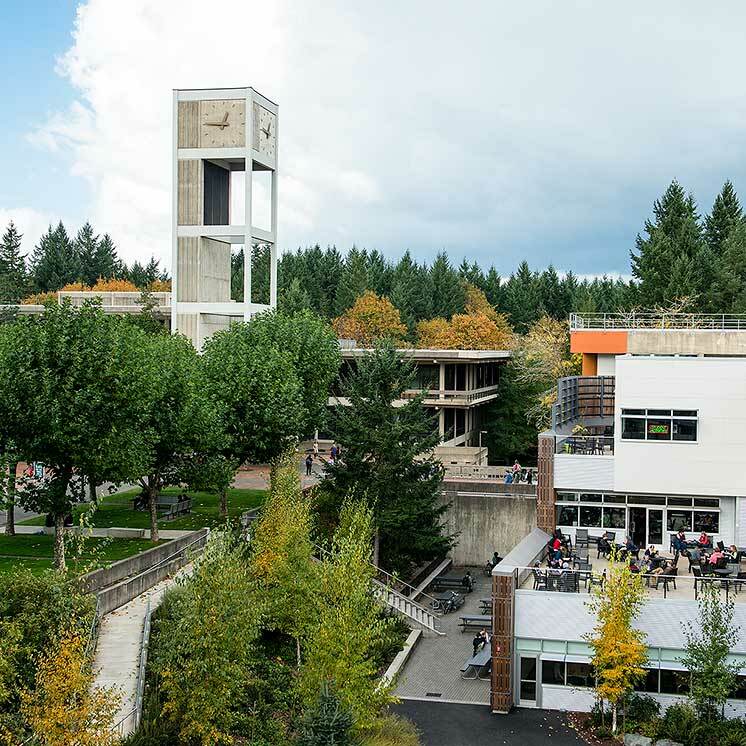 Six principles infuse Evergreen’s curriculum and guide academic planning for both faculty and students. As a graduate, you will gain the skills to be better at collaboration, creativity, critical thinking, and more. A central focus of Evergreen’s values is freedom—freedom to explore ideas and to discuss those ideas in both speech and print; freedom from reprisal for voicing concerns and beliefs, no matter how unpopular. It's this freedom that is so necessary in a vibrant, dynamic learning community. The Social Contract is a guide for civility and individual freedom.